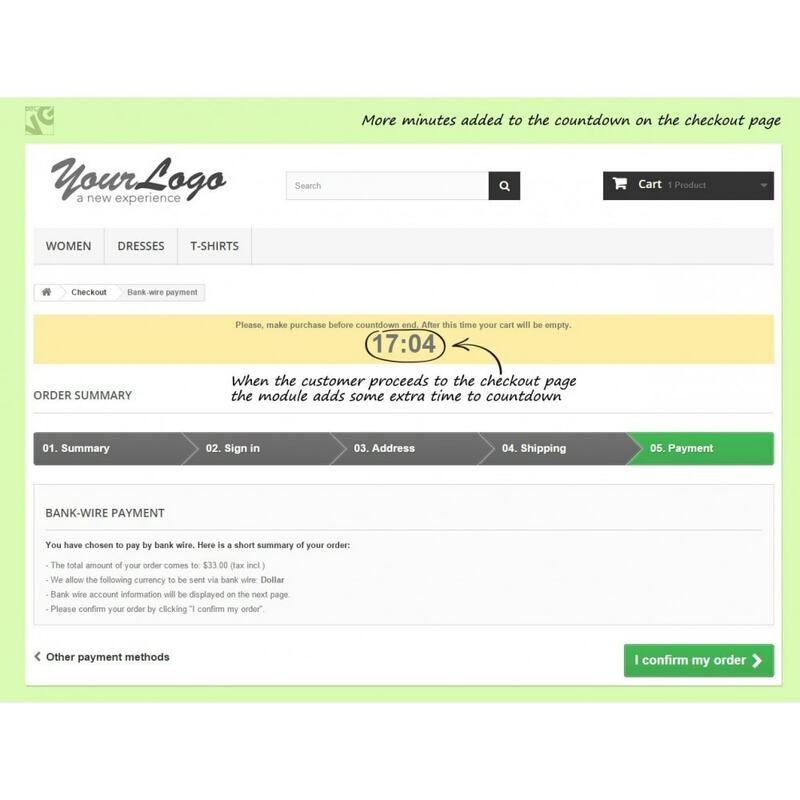 Prestashop LifeTime Cart module adds a special time countdown banner on the product and checkout pages to stimulate customers complete the purchase within the set time frame. The banner appears and starts the countdown as soon as your customer adds his first product into the shopping cart. If the time expires before customer completes his purchase all products get automatically removed from the shopping cart. When the customer proceeds to the checkout page the module automatically adds some extra time to the countdown. Set your own expiration time in the module preferences.